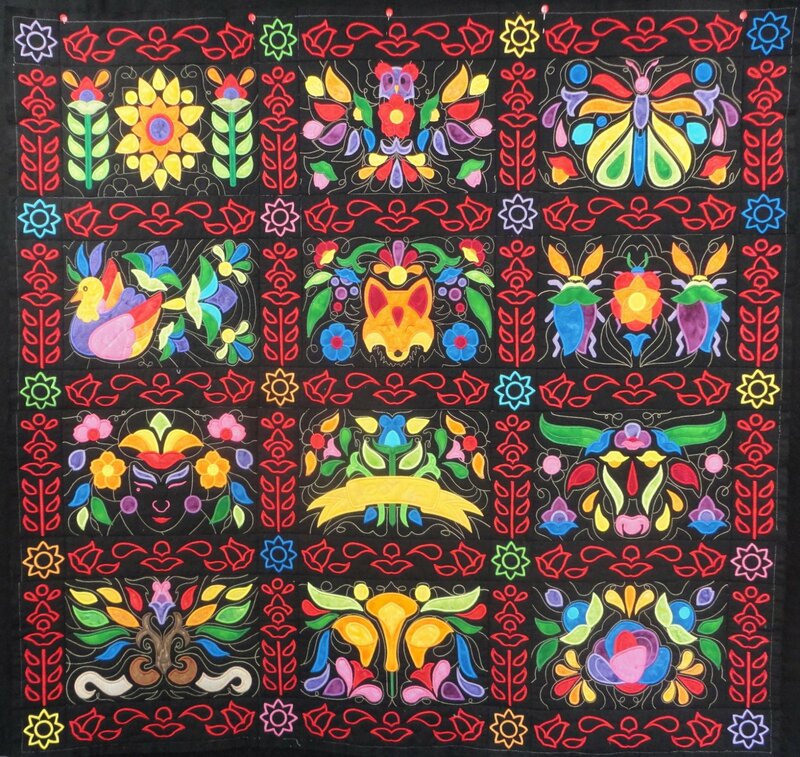 Make this stunning colorful quilt in your embroidery hoop—one block at a time. There are twelve different appliqué blocks, plus sashings and cornerstones. SVG files are included so you can use your digital cutter to pre-cut the applique pieces, or rent ours! Meets 1st Friday of every month. Join Anytime!